Had it with artificial, old-fashioned, stagey royalty-free images that literally scream, stock photo? An alternative kind of agency, which uses personal mobile photos from a range of enthusiasts and professionals, today launched out of beta promising to lend a more natural and less overtly slick look to marketing, advertising and editorial content. 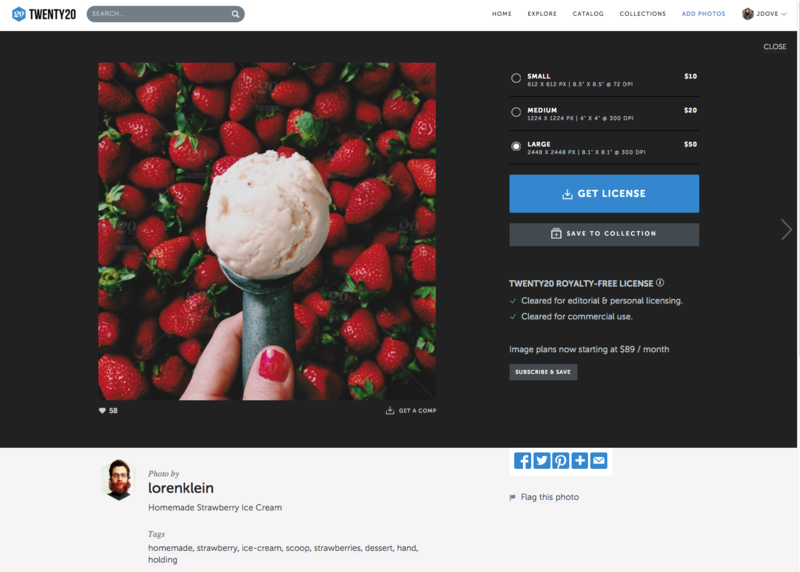 Twenty20, a crowdsourced commercial image catalog, specifically targets the mobile, Instagram-centric, social networking sensibility of contemporary companies and encourages the use of personal mobile photography for visual campaigns. But that’s not to say Twenty20 ignores the pros: The site’s mobile photographers offer a range of professional experience spanning pros, amateurs and even celebrities like skateboarder Tony Hawk, who are interested in getting their photo work out there. Twenty20 sees itself as a “democratizing” influence by letting anyone who takes compelling photos get recognized. To do that, it employs the talents of a global community of photographers who are capturing the kind of real-world images that some brands and agencies crave. The platform currently offers some 45 million photos from more than 250,000 photographers in 154 countries. Each photographer has their own gallery and buyers can access the collections via the Website or the companion iPhone app. You can follow specific photographers, so their new works show up in your feed. The mobile app lets shooters make money via commissions from their personal photos by uploading them directly to the platform. Creative professionals looking for content can purchase the images on the platform individually or via a monthly subscription. One-off images cost between $10 to $50 based on image size, while subscriptions start at $89 per month. Photographers receive between 20 and 100 percent of revenue on sales — 20 percent for subscription sales; 100 percent for commissioned sales. Every image appearing on the platform is vetted by an in-house legal team to align photos with the quality requirements of buyers. Most photos are purchased with a royalty-free license allowing commercial or editorial use across multiple campaigns. Alongside the launch, Twenty20 also announced it has received $8 million in Series A funding, which it plans to use for scaling and opening partnerships with ad agencies and media buyers.